Ovince Saint Preux is out of his UFC 235 bout with Misha Cirkunov, per his management team. After being booked just last month, Ovince Saint Preux vs. Misha Cirkunov has hit a snag. Early Sunday, Saint Preux’s management team, KO Reps, announced an injury had forced the light heavyweight off the UFC 235 card. 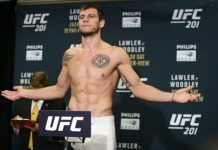 The nature of the injury was not disclosed, but it has left Canada’s Cirkunov, who got back in the win column at UFC Moncton last October, without a dance partner. 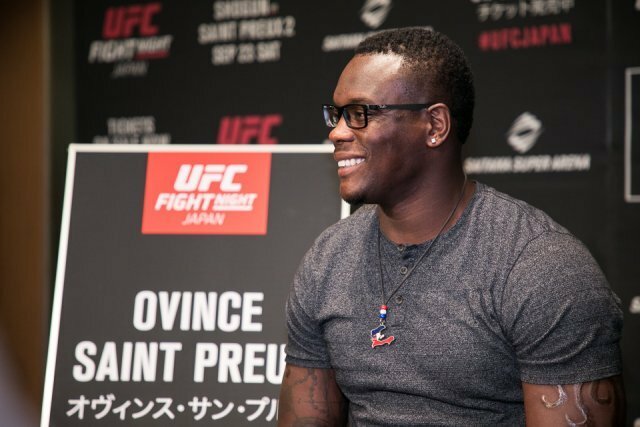 Saint Preux (23–12) has lost two of his last three fights, sandwiching a win against Tyson Pedro between losses to Ilir Latifi and Dominick Reyes. Prior to that, OSP was on a three-fight winning streak, but he’s a long way from the interim title shot he earned against Jon Jones in 2016. Cirkunov (14–4) snapped a two-fight skid against Patrick Cummins in Moncton in the fall. With that first-round submission, he improved to 5-2 in the UFC’s light heavyweight division. The Cummins win saw Cirkunov calling out Volkan Oezdemir afterward, who he’d lost to earlier in his UFC run. However, the Canadian acknowledged the fight might be a ways off. The fight against OSP was subsequently booked. The nature of Saint Preux’s injury has not been disclosed, and the UFC has not yet officially commented on the loss of the bout. 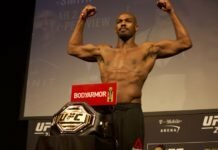 UFC 235 takes place March 2, and features Jon Jones vs. Anthony Smith in the main event.